Grandeur of the Seas arrived in Freeport, The Bahamas, this morning at approximately 10:15 a.m. ET, with all 2,224 guests and 796 crew safe and accounted for. Royal Caribbean International’s President and CEO Adam Goldstein and a Guest Care team have arrived in Freeport to meet with guests. While en route to CocoCay, The Bahamas, the ship experienced a fire in the mooring area in the aft of the ship at approximately 2:50 a.m. ET. The fire was extinguished at 4:58 a.m. and the ship was redirected to Freeport for further evaluation. In an abundance of caution, the Captain mustered all guests to their assembly stations during the incident. Guests were released from their muster stations at 6:56 a.m.
Grandeur of the Seas will remain docked in Freeport overnight. 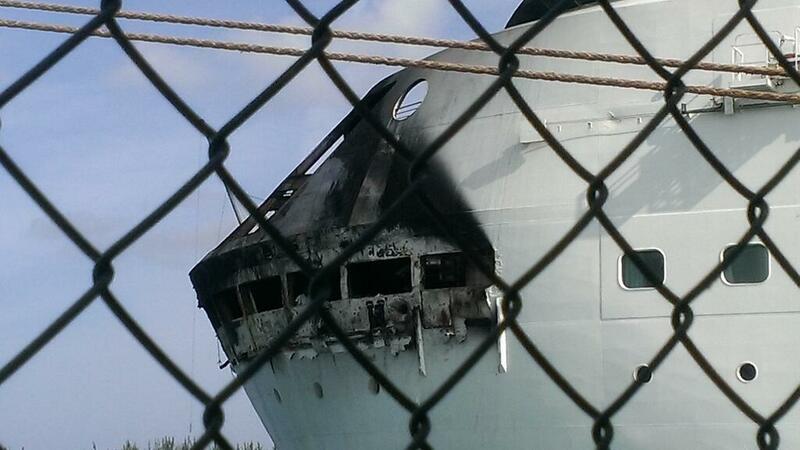 The aft area affected by fire has been cordoned off, but most public areas and staterooms are safe and accessible. Throughout, the ship’s power, propulsion and communications systems functioned uninterrupted. Guests have the option to spend the day on board or ashore in Freeport while a number of guests in affected staterooms will be put up in Freeport hotels. The safety of our guests and crew is our top priority, and we will continue to focus on their needs and concerns currently. The onboard medical staff has responded to several calls for medical assistance, but none of them have been medical emergencies. The calls have included fainting, reports of high blood pressure and an ankle sprain. A dedicated telephone hotline has been established for family members of guests at 1-888-824-0012 or internationally at +1-408-916-9000. The cruise line requests that only families of guests use the telephone numbers in order to help ease call volume and ensure that they can receive information as quickly as possible. Grandeur of the Seas was on a seven-night sailing that departed Baltimore, Maryland, on May 24, and had included port calls to Port Canaveral, Florida; CocoCay and Nassau, The Bahamas.